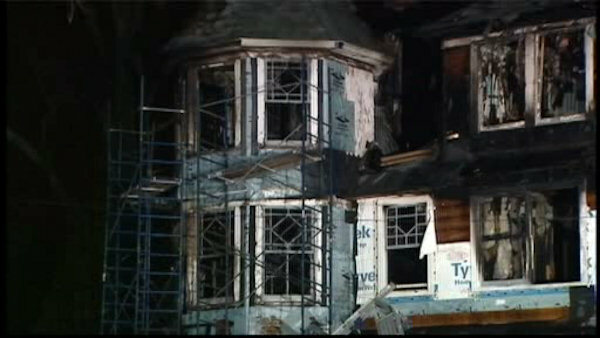 HARTFORD, Connecticut (WABC) -- A contractor who initially took the blame for accidentally starting a fire in Connecticut that killed his girlfriend's three children and her parents on Christmas morning will testify in a wrongful-death lawsuit and turn over documents. Michael Borcina's lawyer said Thursday that Borcina will cooperate in the lawsuit by the children's father, Matthew Badger. The comments came after Borcina failed to turn over documents and appeared to go missing. Badger sued Borcina, the city of Stamford and other contractors after the 2011 fire. Borcina settled for $5 million. Borcina initially said he put a bag of fireplace ashes in a mudroom where the fire started. He later said the girls' mother, Madonna Badger, put the ashes there. The two are no longer dating.